The Division’s Xbox One X update finally arrived this week alongside Patch 1.8.1. However, Ubisoft was fairly scant when sharing the details – they only mentioned 4K “rendering” as well as improved reflections, object details, screen-space shadows and higher anisotropic filtering. YouTube channel VG Tech published a detailed tech analysis yesterday, though, mainly with regards to pixel count. According to his findings, The Division uses dynamic resolution when needed on Xbox One X (just as it does on PlayStation 4 Pro) with the lowest native pixel count being 3290×1850. However, most of the time The Division actually runs at native 4K resolution (3840×2160) on the Xbox One X, which is rather impressive considering the detailed open world created by Ubisoft Massive. By comparison, PlayStation 4 Pro very rarely manages native 4K. VG Tech found the lowest resolution on PS4 Pro to be 2432×1368, while the average resolution in gameplay scenes is approximately 2880×1620. That’s quite the gap with the Xbox One X’s most common occurrence; in fact, as you may know native 4K resolution translates to over 8 million pixels while 2880×1620 equates to a little over 4.6 million pixels, that is to say a pixel count advantage of approximately 44% for Microsoft’s console. Interestingly, both versions of the game use Temporal Reconstruction but only when dynamic resolution kicks in. The frame rate on the Xbox One X is also basically locked at 30 frames per second, save for some drops when browsing the in-game map. 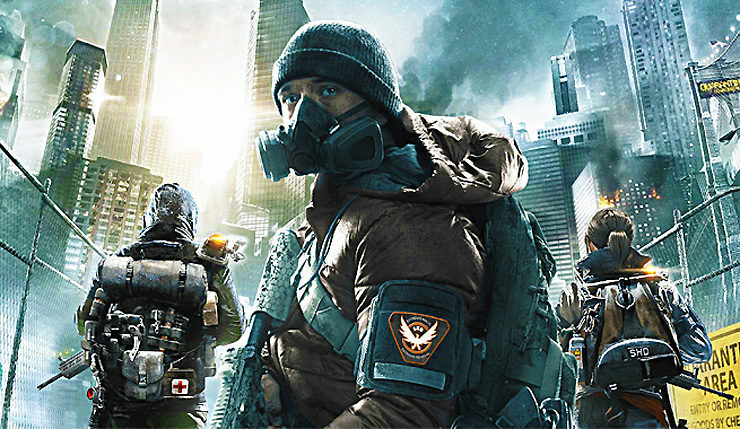 Obviously the PC version of The Division remains the best one from a graphical standpoint, thanks to advanced options such as NVIDIA’s HBAO+ for Ambient Occlusion, PCSS (Percentage Closer Soft Shadows) and the extremely computationally intensive HFTS (Hybrid Frustum Traced Shadows). Sadly, no version of the game supports High Dynamic Range displays. It is fair to expect that the upcoming sequel, due to be revealed at E3 2018 in June, will do.